Pattern design for Iittala's classic Teema mug by Kaj Frank. The flawless Iittala products have been through a lot before arriving on the store shelves. 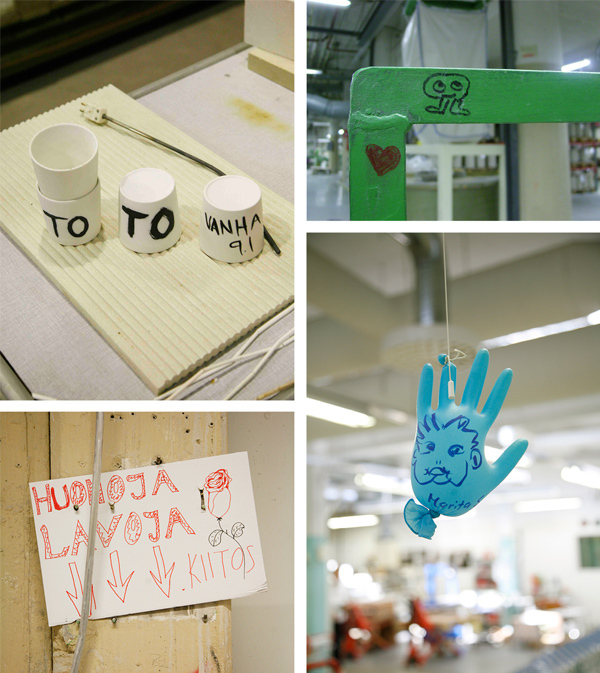 We collected scribbles of instructions and notes from the production line of the Teema mug in the Iittala factory in Helsinki. 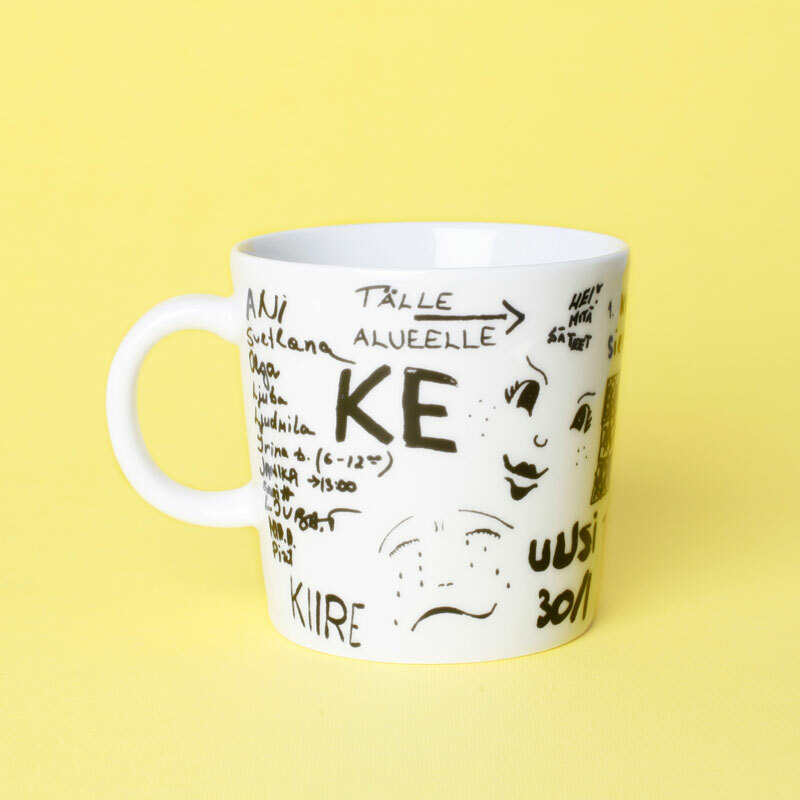 The finished pattern tells the story of the manufacturing of the mug and describes the environment where the mug comes from. You can read more about the pattern in the book ‘The Story of a Mug’.